How can we inspire our students in the midst of pressures for achievement? “Mrs. Jensen” was a strong teacher who never failed or lost control… at least, that was the image she tried to maintain. She actually felt frustrated and vulnerable much of the time. Mrs. Jensen was particularly upset about her relationship with "Carl," who seemed indifferent despite her stern insistence that he focus on the lesson. In our work mentoring teachers and school principals, we’ve found that this is a very common challenge. Creating a ‘now’ filled with trust and joy is a crucial part of teachers’ relationship to their students, and of their students’ ability to learn. However, as educators, we’re constantly in a situation where we need to create specific results with our students within a specific time frame. The strong future-oriented focus of our work can easily make the present moment feel unsatisfactory and insufficient. We can become too controlling and lose the basic trust that makes the present moment a good foundation from which to build a better future. How can Rilke´s poem “The Swan” help us? 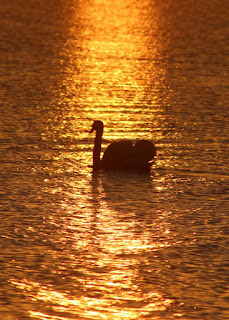 Mrs. Jensen liked this image, and the swan became a metaphor for the transformation she wanted to see in her work. She began a loving kindness meditation, which transformed her way of being a teacher. Can acceptance of your imperfection make you strong? The first part of the exercise created a breakthrough: By putting a hand on her heart and quietly saying to herself "May I be loved and experience deep joy,” she built up self-compassion and confidence in herself and the sense that she was always worthy to receive compassion. It helped her to become familiar with her own imperfection, and she allowed herself to make mistakes, make wrong decisions, and be tired and worn out sometimes. It was a great relief for her and created a kind of "robust" vulnerability that made her better at listening to others. It also strengthened her joy at work, and her relationship with the students improved substantially. She learned to climb down from the control tower and meet them on a much more equal level. By learning to endure her own mistakes, she could much better endure her students’ mistakes. She realized that her need for constant control was a defense against feeling the inevitable uncertainty that comes with life. What happens when we let go of control and trust the uncertainty? As for Carl, she was able to meet him in a new way, where she could connect with him through empathy and a calmer presence. She chose not to see his indifference as a provocation but as an invitation to look deeper and relate to him in a much more friendly way. As she saw how this motivated him, she began to manage her class by love instead of fear. And she gradually developed the tools to serve the students’ learning needs instead of focusing on imposing a rigid structure. Through this daily “swan” practice, we can experience the transformation of going from control to trust. 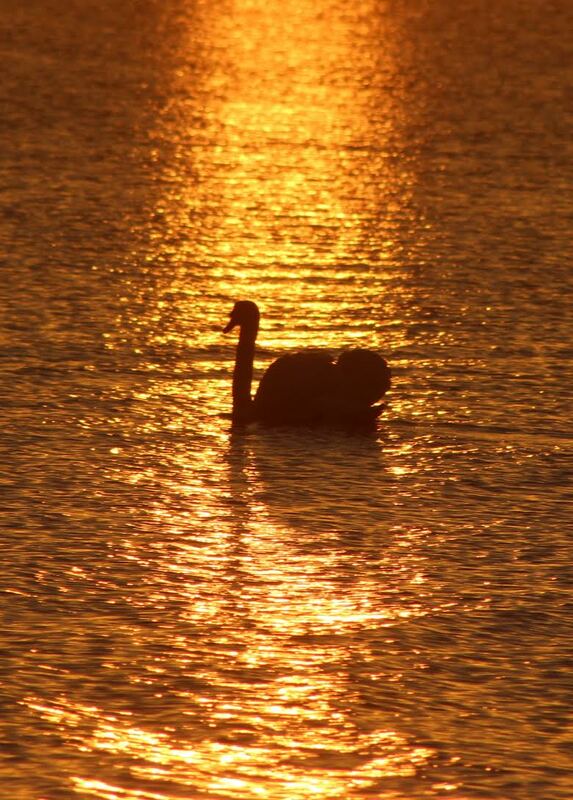 Like the swan, we too become even more beautiful when we trust that life will carry us where we need to go. Like the swan, when it is one with the water, we can learn that joy is also found in uncertainty - especially in trusting the uncertainty. From this position, we can create a learning environment supported by kindness and trust. In that way we become role models who guide our students through our authenticity and presence. Rather than imposing our will on them, we lead them with true authority and strength. This post was written by Didde and Nikolaj Flor Rotne of Stillnessrevolution, and is used here with their permission. During the last 16 years we have been deeply inspired by Thich Nhat Hanh and dedicated to his mindfulness teachings. We are situated in Denmark, Scandinavia and live with our three sons in the countryside south of Copenhagen. We are founders of The Stillnessrevolution, where we help educators, leaders and other change agents to create personal and cultural change. We work with mentees from all over the world through our teachings and coaching programs. We are the authors of four books and three e-workbooks, building bridges between mindfulness and education, parenting, leadership and work life. I loved this post and have always loved Rilke's poem. In gratitude I offer this blessing from the galleys of my new book (working title: In the Garden of Hearts: Blessings, Meditations, and Consolations for Teachers). and embrace you with questions. and frontiers to be explored. contribute to a purpose larger than yourself. as a microcosm of the world. May it be a safe place. may the soil be rich. Thanks for sharing this blessing, Pete, as well as "A Lesson in Classroom Management." I loved A Path with Heart, and I'm looking forward to your new book! What a wonderful blessing. We just read your great interview with Catharine on your blog too!